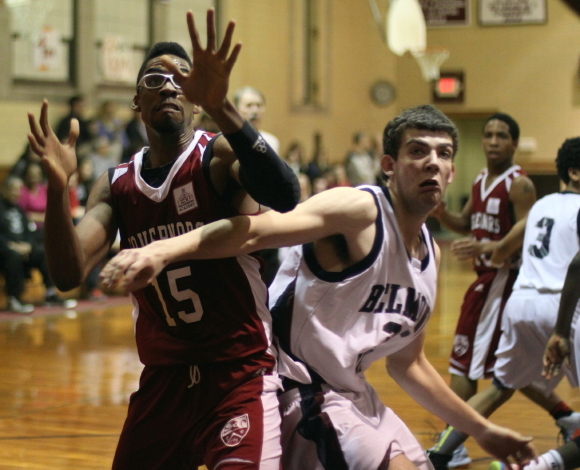 (Byfield) Governor’s Academy had a very strong second half and defeated Belmont Hill, 65-57, on Friday night in Independent School League action. 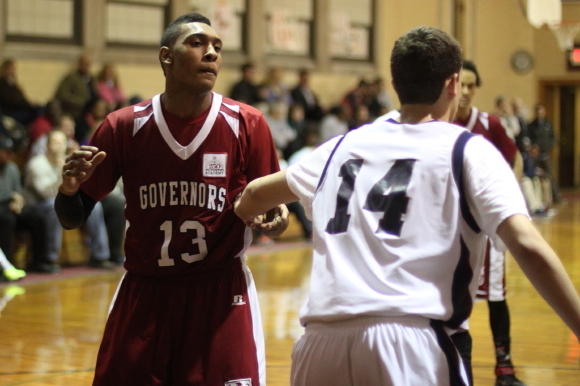 The Govs (12-8) trailed by two (32-30) at the half and traded baskets to start the second half. 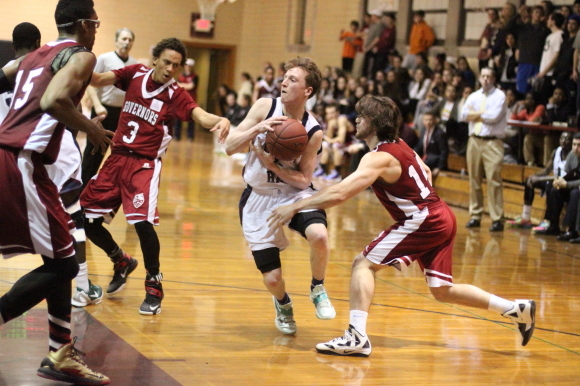 After that, the home team put on quite a show of offense and defense during the next 8 ½ minutes. Maybe it was because the GA seniors were honored before the game and plenty of friends and family were on hand. Whatever it was, the Govs put together a 19-2 segment. That great offense/defense turned a 34-32 deficit into a commanding 51-36 lead with six minutes left. 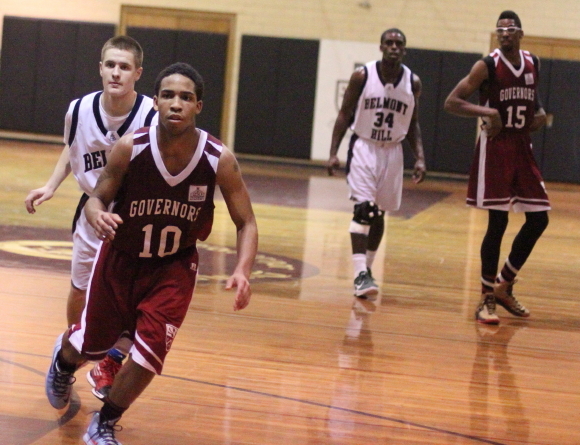 Maybe it was a coincidence but all of the points for Governor’s were scored by seniors during the game-deciding run. Stephen Basden (6), Kam Nobles (2), Tate Jozokos (5), Eli Earley (2) and Joe Kuo (4) put the 19-point package together for GA.
Belmont Hill (8-16) responded with a 10-2 run of their own featuring two layups and two free throws by Harry Roberson (17 points) to close to seven (53-46) with three minutes to go. 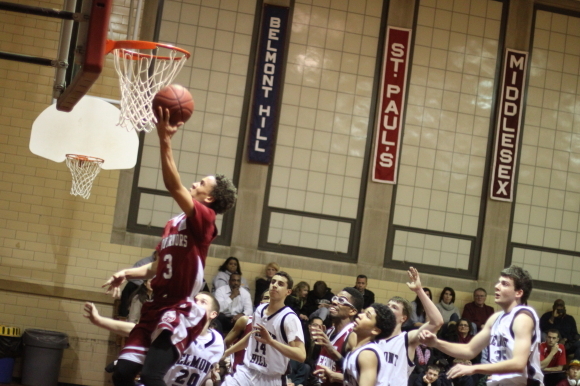 The Hillies would cut the lead to six (59-53) on a Kevin Scarlet (12 points) layup with 1:09 left. However, GA answered with a breakaway layup by Eli Earley (7 points) and a Joe Kuo (19 points) free throw to elevate the Govs lead to nine and seal the win. 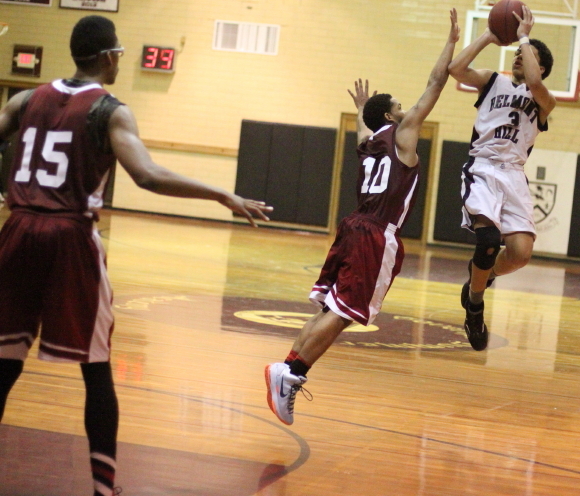 Joe Kuo led all scorers with his nineteen points. 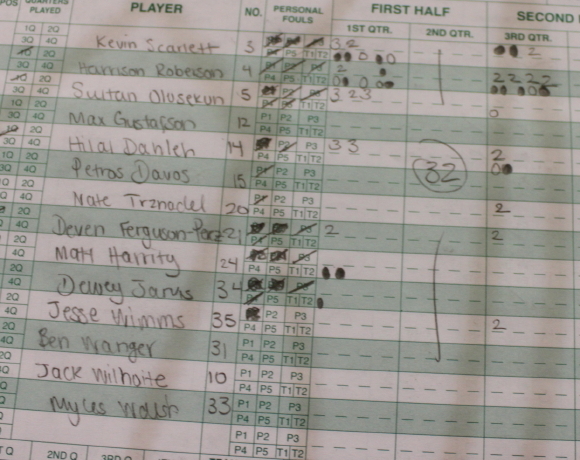 I saw the 6-9 senior get a career-high thirty-eight points against St. Paul’s. The difference tonight? Not enough touches for the big guy. Some pretty active BH defense had a lot to do with it. 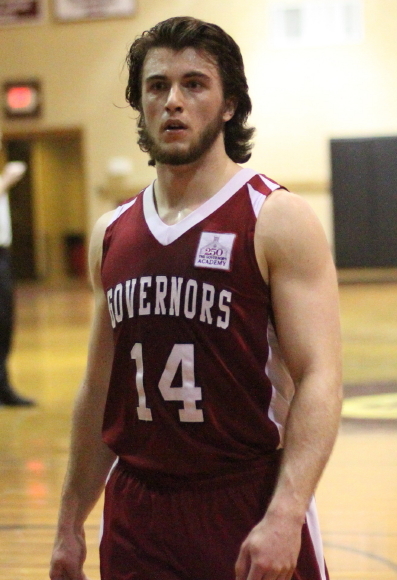 The Govs started fast and led 14-10 after 6 ½ minutes. 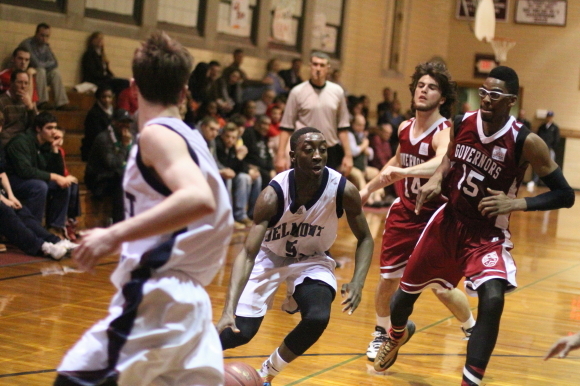 Then Belmont Hill ran eight unanswered points over the next three minutes to get in front (18-14). 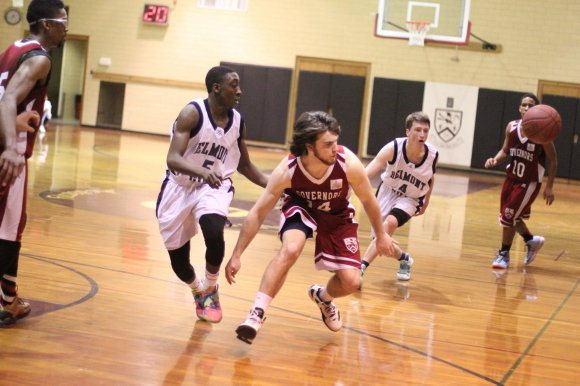 They would maintain the lead into halftime (32-30). 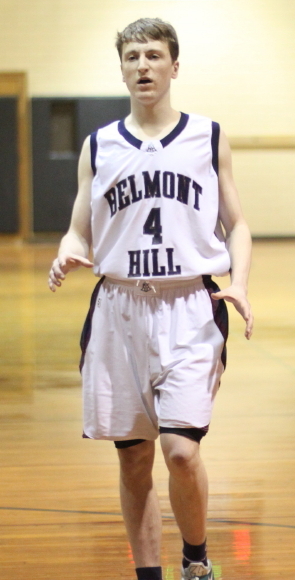 A big part of the BH first-half success was the 3-pointer. There were two each by Hilal Dahleh and Sultan Olusekun as well as one by Kevin Scarlett. Harry Roberson (17 points) had twelve of them in the second half helping the Hillies fight back from the 19-2 run GA threw at them. The crowd at GA was sizable and noisy. Easily the biggest excitement was over a Joe Kuo jam on an inbounds play in the second half. 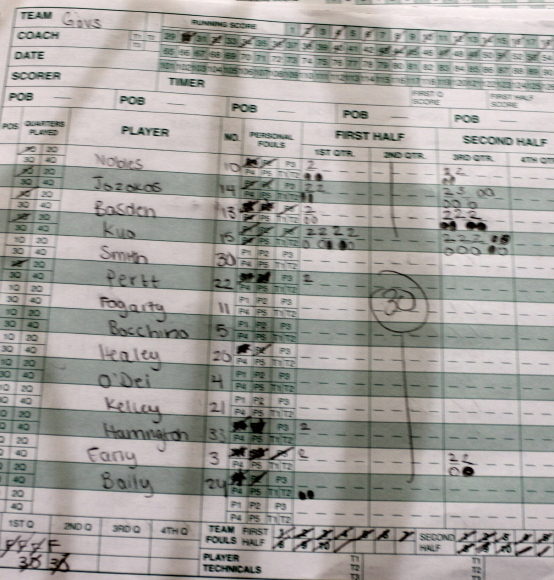 The tight defense forced turnovers (34 by my count) and plenty of foul shots. To put it kindly, the foul shooting by both teams was pitiful. Belmont Hill lost by eight points but they missed twelve free throws including three that were the front end of one-and-one’s. 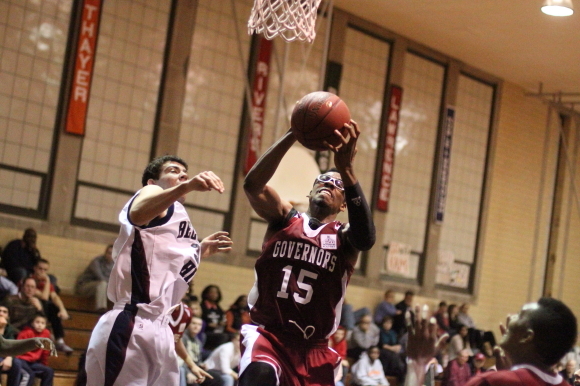 Governor’s won by eight points despite missing sixteen free throws including two that were the front end of one-and-one’s. 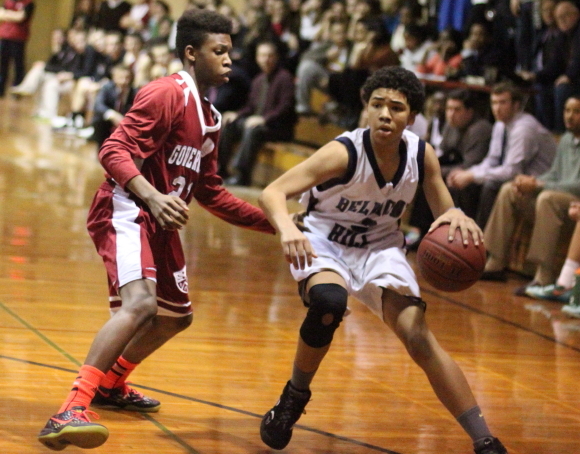 Which shot do you suppose players everywhere practice the most…..layup, free throw or 3-pointer? Stephen Basden (12 points), Tate Jozokos (11 points), and Kam Nobles (10 points) all reached double figures for GA.
Kam went down hard after a layup early in the second half. He did return to action not too long after that. I thought maybe BH alum Jonathan Kraft (President of the Patriots) might be in the house but word was that he was trying to find a Denver Boot big enough to fit on Gronk’s leg!